Yerba Maté (Ilex paraguariensis) is a South American shrub belonging to the holly family, revered for its health benefits. The shrub’s leaves are called yerba, which means "herb" in Spanish, and maté (infusion) refers to the stimulating warm brew made by steeping those leaves in warm water and is traditionally shared in a gourd through a straw. I find the tea is similar in taste to green tea... deliciously smooth, broad and earthy. 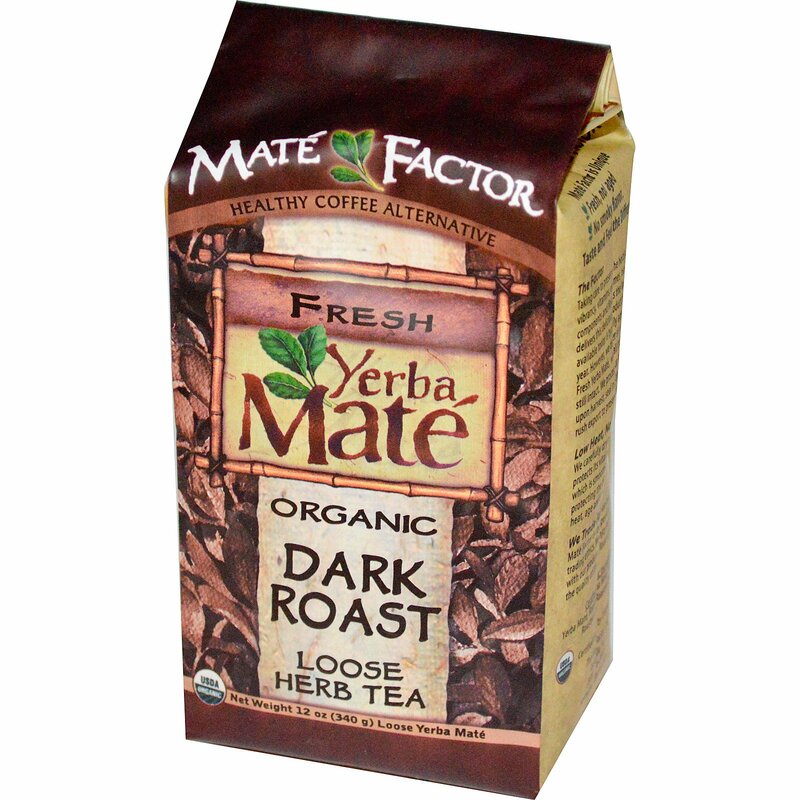 I recommend brewing Yerba Maté like any other herbal loose leaf tea. If you have sensitivities, please take note that Yerba Maté contains caffeine. If you can tolerate caffeine, this nourishing beverage has several proven health benefits. 1. Does Yerba Maté contain antioxidants? YES! The polyphenols and high antioxidant activity in Yerba Maté have powerful health benefits. These compounds strengthen your body’s natural defenses and protect against cellular degeneration and oxidative stress.1 Many studies show that the main antioxidant contained in Yerba Maté, called chlorogenic acid, is associated with a lower risk of inflammation and heart disease.2 The benefits don’t stop there. Yerba Maté also boasts minerals including potassium, magnesium and manganese which supports healthy joints. 2. Does Yerba Maté have immunity-boosting properties? YES! There is evidence to support that the saponins in Yerba Maté have immunity-boosting and anti-parasitic properties.2 So, when it's cold and flu season, DRINK UP! 3. Does Yerba Maté support good digestion? YES! Yerba Maté has traditionally been used as a digestive aid. When consumed, it stimulates your production of bile and other gastric acids3, resulting in healthy digestion and regular elimination – both important for detoxification. 4. 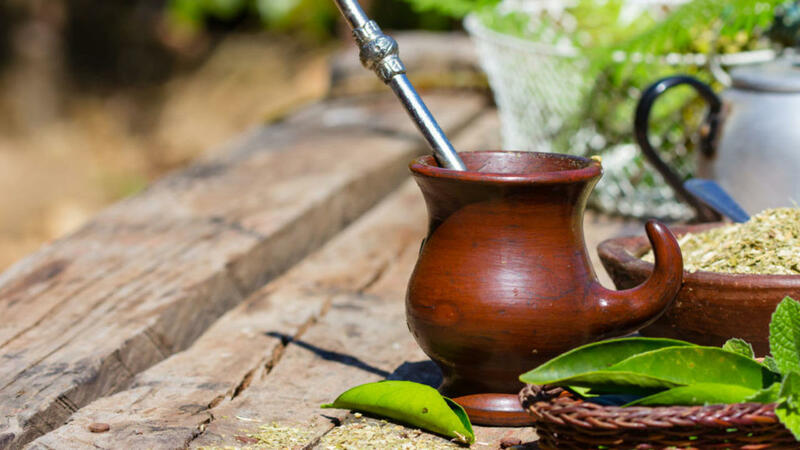 Does Yerba Maté support cardiovascular health? YES! The antioxidants and amino acids present in Yerba Maté have been proven to have a lipid-lowering effect. One trial with 102 volunteers found that after just over 1 month of consuming 1 cup per day, individuals with elevated levels of ‘bad’ cholesterol experienced an 8.6% reduction in low-density lipoprotein (LDL) levels and a 4.4% increase in ‘good’ cholesterol (high-density lipoprotein or HDL). Even more promising, participants who were already on cholesterol-lowering statin drugs witnessed a 13.1% reduction in LDL and a 6.3% increase in HDL.4 Yerba Maté also helps prevent arteriosclerosis (hardening of the arteries) and prevents blood clots that may cause heart attack or stroke. 5. Does Yerba Maté help control weight? YES! Note #1 : It’s important to choose reputable, organic sources that avoid contamination during the drying process.7 Products coming from China are renowned for contamination...if a product is siginificantly cheaper, there's often a good reason for it. Maté Factor is an organic Yerba Maté company based in Winnipeg, Manitoba, Canada. Click here for more information. 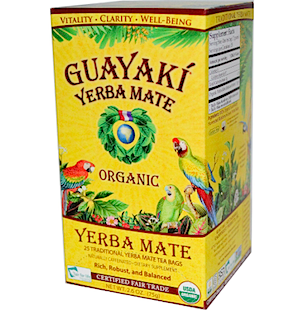 Guayaki is a high quality, organic Yerba Maté company based in California, USA. Click here for more information. Heck CI, de Mejia EG: “Yerba Maté Tea (Ilex paraguariensis): a comprehensive review on chemistry, health implications, and technological considerations.” J Food Sci. 2007 Nov;72(9):R138-51. Filip R, Ferraro GE. : “Researching on new species of "Maté"." Ilex brevicuspis: phytochemical and pharmacology study.” Eur J Nutr. 2003 Jan;42(1):50-4.
de Morais EC, Stefanuto A, Klein GA, Boaventura BC, de Andrade F, Wazlawik E, Di Pietro PF, Maraschin M, da Silva EL. : “Consumption of Yerba Maté ( Ilex paraguariensis ) improves serum lipid parameters in healthy dyslipidemic subjects and provides an additional LDL-cholesterol reduction in individuals on statin therapy.” JAgric Food Chem. 2009 Sep 23;57(18):8316-24. doi: 10.1021/jf901660g. Resende PE, Verza SG, Kaiser S, Gomes LF, Kucharski LC, Ortega GG. : “The activity of maté saponins (Ilex paraguariensis) in intra-abdominal and epididymal fat, and glucose oxidation in male Wistar rats.” J Ethnopharmacol. 2012 Dec 18;144(3):735-40. doi: 10.1016/j.jep.2012.10.023. Epub 2012 Oct 23. Hussein GM, Matsuda H, Nakamura S, Hamao M, Akiyama T, Tamura K, Yoshikawa M.: “Maté tea (Ilex paraguariensis) promotes satiety and body weight lowering in mice: involvement of glucagon-like peptide-1.” Biol Pharm Bull. 2011;34(12):1849-55. Bracesco N, Sanchez AG, Contreras V, Menini T, Gugliucci A.: “Recent advances on Ilex paraguariensis research: minireview.” J Ethnopharmacol. 2011 Jul 14;136(3):378-84. doi: 10.1016/j.jep.2010.06.032. Epub 2010 Jun 26.